First of all, I want to say that all of you are amazing. Over the last few weeks I’ve gotten to look at over 200 of your e-Book covers and man, it’s been a great experience. There are so many good amateur designers creating fun, exciting and dramatic covers. Finding new ways to use the space, re-defining the way an e-book cover should look. And it’s great to see professional designers working their magic in the little space of the e-book cover. In the end, because there were so many e-book covers submitted, I decided to award 5 badges this month: 4 to Fiction winners, and 1 in Nonfiction. Although the nonfiction covers showed little improvement, it was quite different in fiction. There were at least 10 other covers that could easily have been given awards. At some point it becomes a question of individual taste. Even then, it was extremely hard to eliminate some of the other great covers we had this month. If there was any doubt that the e-book cover is making strides and achieving a sometimes jewel-like perfection, the range of covers winning this month’s badges should put those doubts to rest. Once Upon a Tiger, Poems by Janet Wong, Design and Illustrations by Sladjana Vasic. Absolutely lovely. There’s no denying the appeal of this wonderful cover. The artist’s eye for layout, her deft use of color, and her obvious love for the subject of the book are clearly communicated. The Last King’s Amulet by Chris Northern, design and illustration by Christopher Steininger. An evocative and quietly sophisticated e-book cover that tells just enough to draw the reader in. Executed almost flawlessly, this is a gem. Viridis by Calista Taylor, Design by Calista Taylor. A remarkable use of the e-book cover to evoke a period atmosphere combined with skillful typography create an almost cinematic experience. Velvet Dogma by Weston Ochse, Design by Weston Ochse, Art by Danielle Tunstall. A great way to use the cover space without having to look like a print book. There are so many things going right here, from the ultra-cool art to the designer’s deployment of negative space, to the interesting use of a traditional font for this sci-fi cover. Rad. Meet Me in Montmartre by Andy Conway, Design by Andy Conway. The casual romanticism of this e-book cover perfectly matches the story of a blind date in a Paris cafe. With nothing more than an iPhone and a little imagination, the author shows that a great cover can be right in front of us if we learn to look. Congratulations to all. You’ll get your badges in email. And remember, there’s still time to enter October’s contest. Here’s all the info, and here’s the submission page. Good luck! Thank you for this valuable load of information. I am looking for a talented book cover designer for my upcoming novel “The Last Encore”. It’s a complex and controversial piece of literary fiction, so the cover has to be really powerful. Any suggestions? Julia, you’ll notice that for each cover in this post (and all previous monthly competitions) we credit the designer. You might spend some time looking through these posts, pick out some of the designers you like and Google them, most have websites. We would like to enter our ebook covers for your book cover 2012 awards. What do we need to do? The contest is run every month. All you need to do is submit your cover on the –> Submission Page. Hi, Joel! I’m a sucker for book covers. Here’s a perfect example of the power of a good book cover. I saw Meet Me in Montmartre by Andy Conaway and the cover immediately made me go to the book page. I didn’t even read the prod. descrip. or sample. I saw the price was .99 so I just clicked to buy. Why? The cover perfectly replicates what I think of Montmartre. I immediately recalled making that long walk from Sacre Coeur down through the Montmartre district. Love the cover! Congrats to the artist who I presume is the author. That’s fantastic, Joan. And I totally agree, that cover has a kind of panache that just jumps at you. And yes, the designer is the author and I’m sure he’ll be tickled to read your comment. Thanks for the props for the cover for Velvet Dogma. You nailed it perfectly. I intentionally used a lot of negative space and the font, but what makes it such a great cover was the artwork. Danielle Tunstall is just amazing. The image is captivating and is what makes people take a look. I love the cover for Viridis! Think that one’s my favourite. I would like to enter the cover design for my recently published e-book IRINA’S EYE in the next e-book cover award competition. The cover was designed by Anthony McEwan a/k/a Rugman. Congratulations to all five deserving winners, and thanks to Joel for running this contest and taking the time to comment on the entries. Thanks for your comments even though it’s a miss for Dark Prelude. I’m learning from reading your analysis on the excellent submissions. Should be helpful in designing future covers. Andrea, Dark Prelude was very good, but a bit murky. The subtitle couldn’t be read even at this 200 pixel size, and some of the shapes seemed to add confusion, but it was still one of the better ones, and thanks for participating. This WAS a great batch of covers. It certainly knocks down the notion that self-pubbed books are unprofessional. Christopher Steininger is a delight to work with. When I first saw the cover I just grinned with delight. Perfect, I thought, that’s just exactly what I wanted but could never have imagined for myself. I’m thrilled for him that he won this award. Thank you Joel and congratulations to all the winners. Great job, everyone! Thanks for doing all the hard work, Joel, it’s been really interesting and useful. Hey Ros, you’re welcome. And guess what—next month we’re going to do it all over again! I’ll look forward to it! I don’t have a new cover to submit though, so I’ll just be an interested spectator. Here’s something else these posts are good for: finding a designer for your e-book cover. I researched many of the designers represented in these posts and discovered over a dozen I didn’t know about before. Check out the covers you like, you may find this a terrific way to find a designer. These are all amazing covers, I’m very impressed that some are by DIYers! Great series this week Joel! Congratulations to all the winners! They look fantastic. Joel, thanks so much for taking the time to run this contest and educate us all in the many aspects and fine points of cover design. I hope I’ve learned as much as I think I have! I actually can’t believe my DIY effort has made this cut. I guess my limitations as a Photoshopper forced me to be simple, so much that it could only be photo + typography, no fancy montage of elements. As someone who admires graphic designers from afar, and who is regularly fascinated (and overwhelmed) by the design principles you blog about, Joel, I really do consider it an honour to be listed here. I showed your cover to a couple of other people who know design, and they echoed my thoughts, Andy. Hey, sometimes you get lucky, nothing wrong with that. I hope you sell a few books. What exciting news! Thank you, Joel; we’re really grateful for all the time you take to comment on so many covers and will definitely spread the word about your wonderful website!! 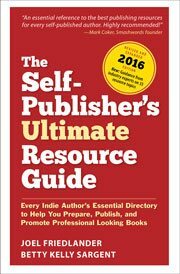 Joel, thank you so much for running this contest, and more importantly, this blog– it’s an immense help to those of us navigating the self-publishing world. I’m humbled and excited to be included amongst such great designs! Again, my sincerest thanks. Can’t wait to see next month’s entries! joel, you’re the one who is really amazing. how do you find the time to do these awards, the video workshop AND blog? i enjoyed your first round of awards. i would be interested to see if you can hold the awards down to one fiction and one non-fiction per month. i think it would challenge everyone to high standards. Aw, thanks Betty. It has been a busy week, since I was in Arizona for 4 days in the midst of it all. I thought a long time about whether to do 1 award, which was my intention all along. But looking over the entries I thought it was a fluke to receive so many in one month, and I doubt it will happen again, so I decided that the entrants shouldn’t be penalized for that since there was such a collection of great designs. I doubt it will happen again. As far as the “schlock award” that’s probably something I won’t do. I don’t know, it seem ungracious somehow. I try to use some of the covers with the worst offenses as examples to show where people go wrong, and a bit about how they might make it right. I trust that many readers can “read between the lines” on some of these comments. Yeah, if you went out and found covers randomly, a “augh, my eyes” award would be one thing. When people submit their stuff, “between the lines” is much more delicate.